The Stones beside a sculpture by Pat Lenz at their San Francisco residence. 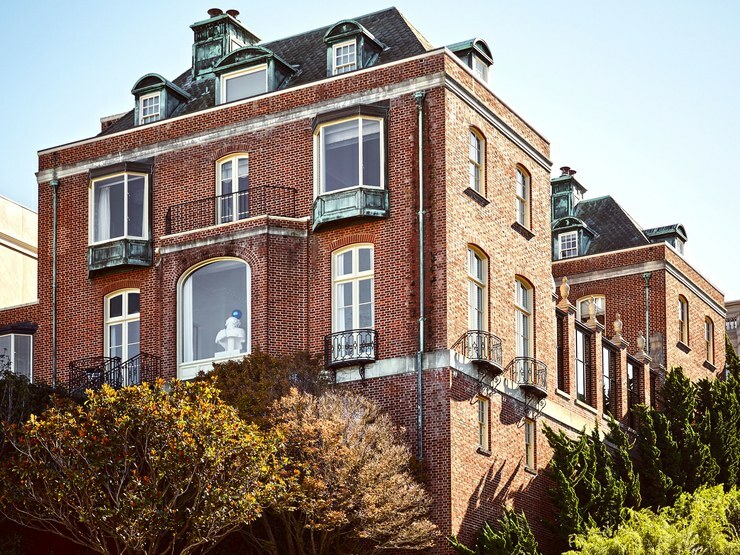 From the outside, the stately house on a prime hilltop block in Pacific Heights, the gold coast of San Francisco, couldn’t be more traditional. Devised in 1927 by one of the city’s most prominent architects, Arthur Brown Jr., the classically appointed Beaux Arts residence features a handsome redbrick-and-limestone façade capped with a slate roof whose fish-scale tiles mimic the gentle arches of the windows below. The only hint that the interiors, not to mention the homeowners, are anything but staid is the plaster bust of a Greek god crowned with a vivid blue glass sphere perched behind one of those windows. For the restoration the couple sought advice from their longtime art adviser, Thea Westreich—“our lead thinker,” according to Norman—who had been helping them assemble their vast collection for two decades. (When the San Francisco house reached its capacity to hold art, the Stones built a 5,750-square-foot “art cave” on their Napa Valley estate.) Westreich not only steered them to what would be the living room’s first new furnishings—a set of eye-catching brass-and-stone tables by Algerian jeweler/artist Taher Chemirik, acquired at London’s Frieze art fair—but also introduced them to Tiffany Vassilakis, the decorator who had refreshed Westreich’s own New York City loft. 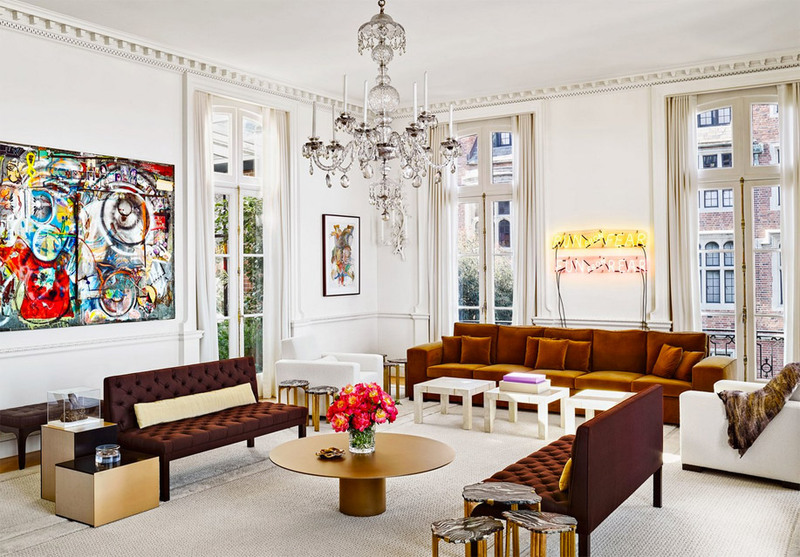 “Thea doesn’t really like decorators,” admits Vassilakis, who serves as the in-house designer for Wyeth, Manhattan’s go-to emporium for midcentury-modern furniture, and who handled the interiors for actor Richard Gere’s Long Island, New York, home and his hotel, the Bedford Post Inn. “She contacted me and said, ‘I just want to paint my walls white.’ I told her, ‘Okay, we’ll paint the walls white, but it has to be the right white.’” Vassilakis got the job.